October was such an amazing month! I closed October by setting a new marathon PR at the Marine Corps Marathon. This marathon was my 4th, and my first full marathon as a mother runner. It feels incredible finishing this marathon, knowing my daughter has been with me every step of the way. The week after I ran MCM, I got the marathon blues. My training program was such a time commitment, but then my race went by so fast. And with no more future races to train for, I felt a little lost. I ended up almost signing up for the Richmond Marathon, which was two weeks later. I ultimately decided not to do it, even though I was totally trained to. 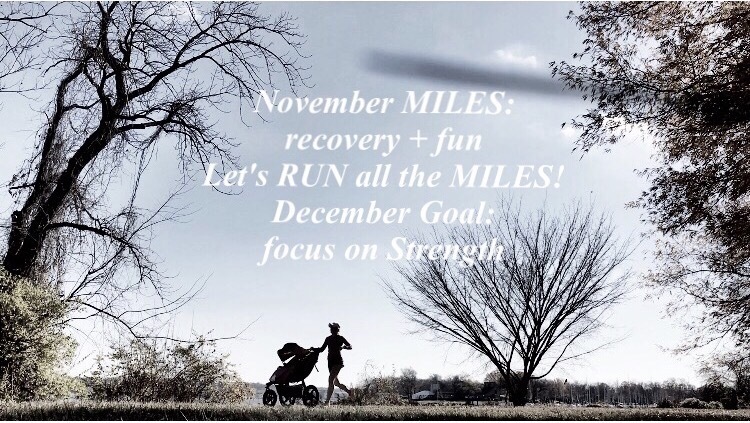 Because I had just finished running a full marathon, November’s focus was on recovery miles and fun running. 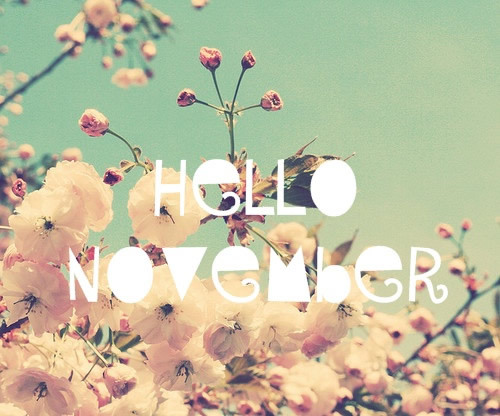 I went into November with out a plan. I didn’t track all of my runs – some were tracked on my Garmin, others on Strava. I ran two shorter races for fun- The Operation Turbo 5k and the Alexandria Turkey Trot/ Del Ray 5 miler. Both races I ran with Zoe, as I pushed her in the stroller. It was so fun! Now it’s December! Although, it is just the beginning of December, 2016 is coming to an end. 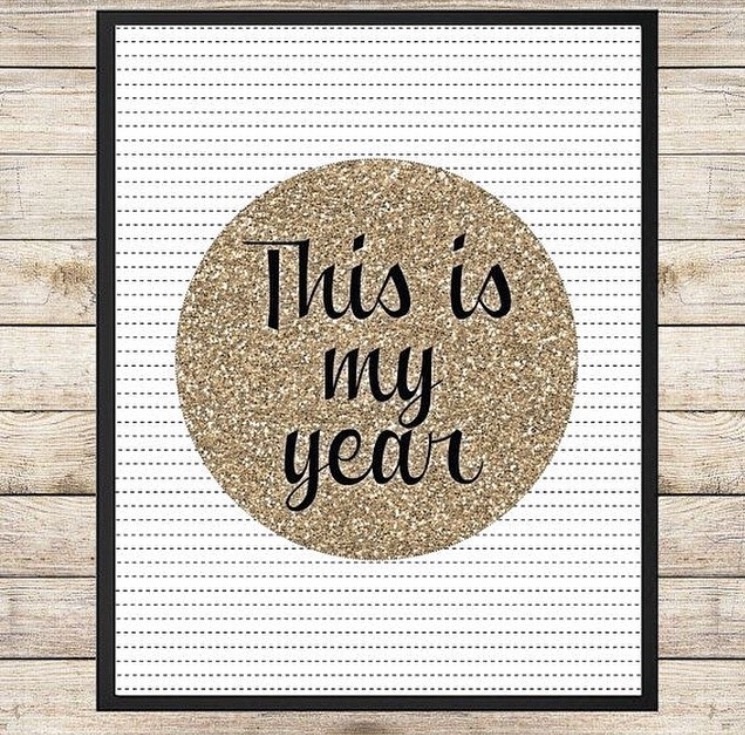 This year has been incredible and I’m hoping to end it as good as it began. Because I am currently in off season, with no races to train for. I think it might be fun to participate in Runner’s World run streak. It is simply run every day until New Years, even if it’s just a mile. Find me on Instagram @sweat1xdaily, if you want to follow along. 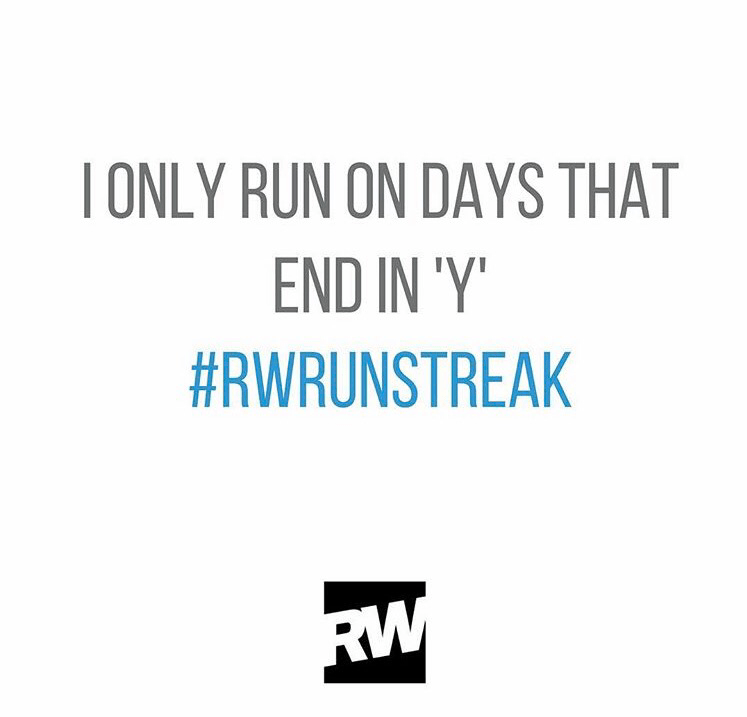 Or participate by following Runner’s World on instagram @runnersworldmag and use #RWRunStreak when you post a run photo. This December, I also want to spend time focusing on strength training. It’s time to build some more muscle again and get stronger. So this December is all about streakin’ with Runner’s World, building some serious strength, and spending time reflecting on 2016. Has anyone done a run streak before? I know, I know, I have been MIA! But honestly, I needed a break. So after my last Christmas post, I stopped writing and reading blogs, and just shut down… I barely checked facebook or instagram either. Social media was actually becoming overwhelming. So I knew it was time to take 2 weeks away. During this break, my best friend, Mariana, came home from Sri Lanka. She is so pregnant. So we have been hanging out, and catching up. The baby is a boy and he is coming in 5 weeks. Her baby shower is this weekend. Exciting! Together, we got to check out the health and fitness expo, and Union Market. Union Market (although small,) is more than I expected. If you are a foodie, you will love it. It is basically a gourmet food court. There is also a really awesome shop, with house stuff, baby stuff, jewelry, lotions, etc. great for gifts. Because Mariana was with me, we loved all the super cute baby stuff! I definitely will be going back. If you come to the DC area, you must check it out. 2014 was very hard to say goodbye to. It was a very special year for Erik and I. In February, we shared an amazing adventure to the oh so exotic country, Thailand. And then in June, we exchanged vows, and promised to love each other for eternity, aka, we got hitched! So although, 2014 has come and gone, it will always hold a special spot in our hearts. But this year it has been hard to come up with one. 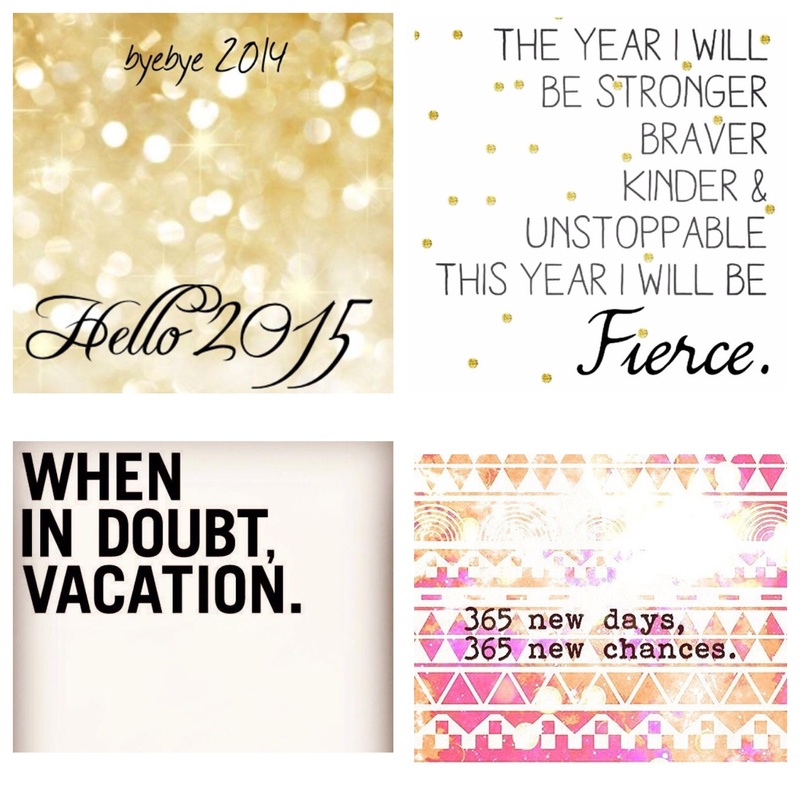 I have been having a hard time because in 2014 I have become a huge goal setter. By constantly setting goals and reaching them, I don’t feel the need to set a new year resolution as much as I did in the past. Anyway, because it is tradition, I am going to set one. I don’t really want it to be too fitness focused because I am not weak in that area. I’m bored and just want something new and different. My main focus this year for fitness and food is BALANCE. I want to be healthy, not obsessive. I have a pretty addictive personality so balance is something I need to work on. When it comes to food and nutrition, my goals are simple, boring, but necessary, drink more water, quit eating sugar, bring my lunch to work. Continue to Run and lift consistently – to be healthy and have fun. Focus on yoga! Not bikram, I want to be upside down more. 2015 New Years Resolution: Goal, focus on Balance, Creativity and Start something New. This year I am going to focus on balance when it comes to fitness and food. I am also going to be even more creative in everything I do. This means more fashionable. Creating more art. Knitting more. 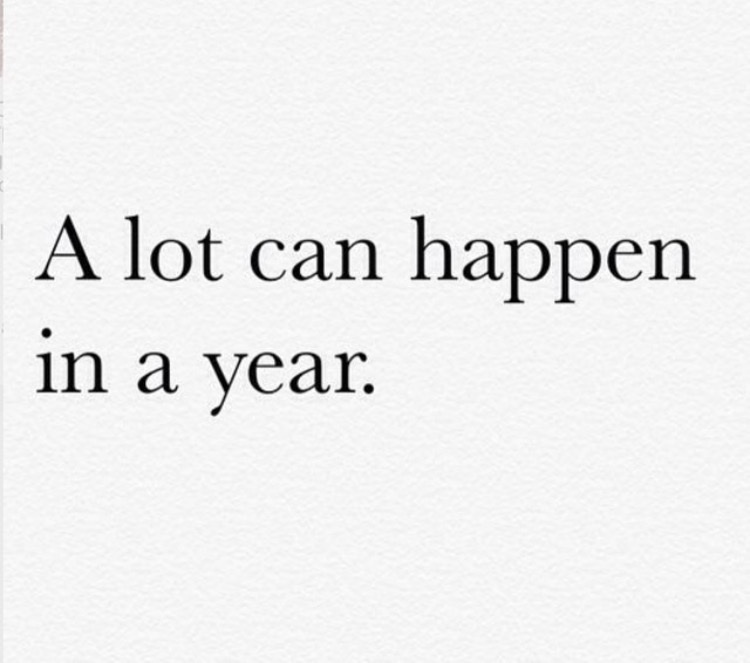 But my main goal in 2015 is to Start something New. I don’t know what that new thing is yet, but I’m excited to report back to you guys, once I discover what it is. I am excited to write a blog post at the end of this year, with what I have explored. Can’t wait! 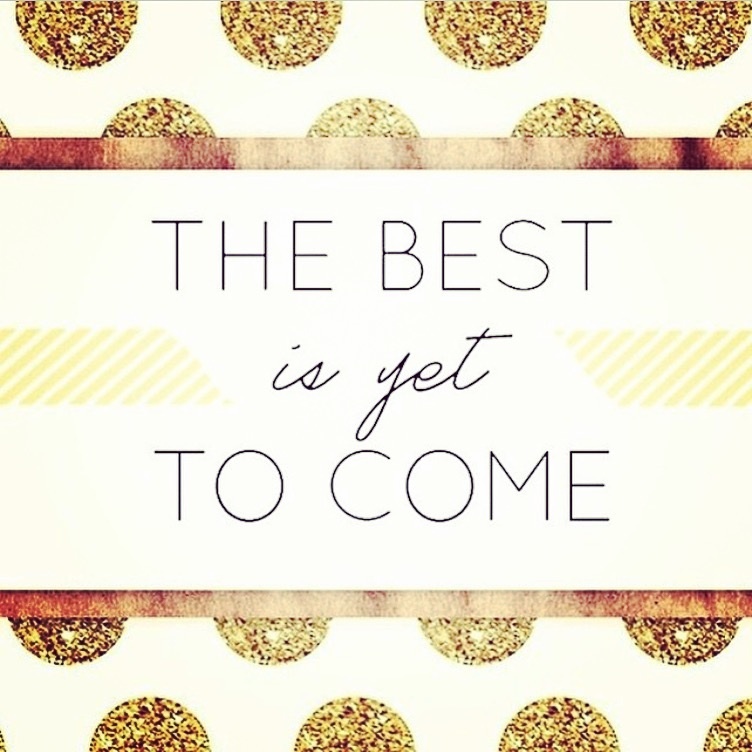 What’s your focus for 2015? Are you planning on starting something new? If you need tips on keeping your resolutions and goals click here. Because of you, I have never been so inspired. Because of my hard work, I have never seen so much progress. The What’s Beautiful Competition has exposed me to some amazing female athletes, who are setting goals, and reaching them. Because of this I am finding myself feeling more organized, and pushing myself to my fullest potential. The Livefit trainer has done this for me as well. Although, it is not customized to the individual, (the exercises were hard, intense actually,) but it has made things easy. With out this plan, I would have been totally lost not knowing what to do in the weight room, but instead every exercise and meal was laid out for me with directions and videos. I have been amazed with how much I have learned about lifting heavy, circuit training, heart rate, eating clean, macros, supplements, etc. I have inspired J and L – they both want to complete phases 2 and 3. So I have decided to repeat Phases 2 and 3 of the Livefit trainer. This time I am going to focus a little closer on eating clean. This week L and I hit the weight room and started the first week of phase 2. I have realized that this is going to be quite interesting. By repeating these phases I am getting the opportunity to really see my progress, because I am lifting heavier than ever. I am setting new PRs on most exercises. When I first started lifting I was using 5-10 lb dumbbells and a 20 lb bar, now I am using 15-20 lb dumbbells and 40 lb bar. I am much stronger then I use to be. Another thing I am setting new PRs in is my running. Because of my new strength I am also running further and faster. Also, because of the What’s Beautiful competition I am learning new things like how to use the TRX for planks and push ups. And because the What’s Beautiful competition is all about challenges – I will leave you with this challenge. How many push ups can you do in 1 minute? See how many I can do by checking out my video on YouTube. Good Luck on the challenge! And make sure you let me know how you do! One friday, late last year, I decided to join my mom, and all of her old lady friends for lunch. After we had finished our meals all of my mom’s friends demanded that they updated their contacts. So they all pulled out their phones, and yep you guessed it they all had marvelous smart phones, androids, iphones – you name it. I immediately felt left out and embarrassed to even pull out my phone. I should be the one with the nice iPhone, and they should be the one clueless on how to work theirs. But nope they weren’t. After that- I had, had it. It was time for me to become trendy and get a smart phone. So in October of 2012, I got an iPhone 5. Finally, I could recycle my old piece of crap phone and upgrade to a smart phone. Yes, I was the only 20 something year old that had not done this yet, but better late than never. bad picture of me. but great picture of my iPhone 5. Before I use to never run with my phone. What was the point? But now that I have my iPhone 5, I never run with out it! Although, there are tons of cool running and music apps, my favorite part of my iPhone 5 is the camera. This phone takes amazing pictures. Before, I would go on runs, and sometimes see something really cool, that I wished I could take a photo of, with the iPhone 5 now I can. 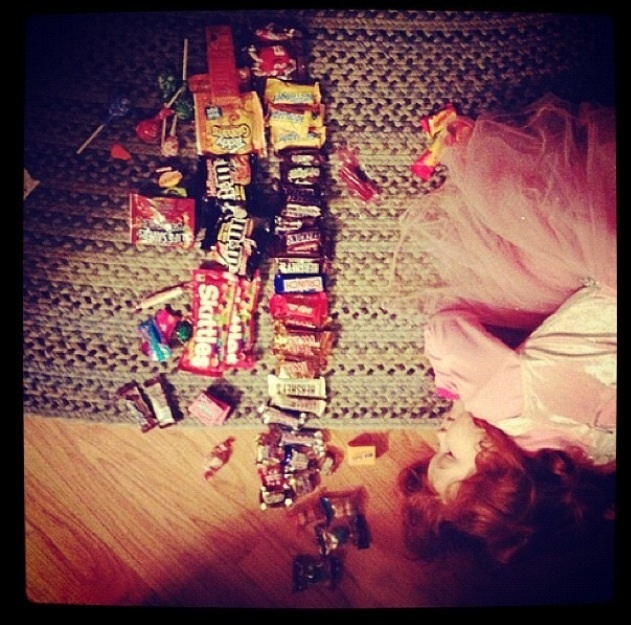 I have become obsessed with instagram as well- follow me @dorseyml. Most of these are taken on the south side of MVT. This photo was taken during my run on January 3rd, 2013. Although, it was cold, look at that sun streaming. Cold, but refreshing, and soaking in that Vitamin D.
This photo was taken on my morning run on January 4th, 2013. Look at those ducks! This photo was taken during my morning run, on January 10th, 2013. On this day, it was 53 degrees out. It felt amazing running. The sun reflecting on the water almost looks like ice – but its not. This photo was taken today, January 11th, 2013. It was 50 degrees, but felt colder because it was lightly raining. 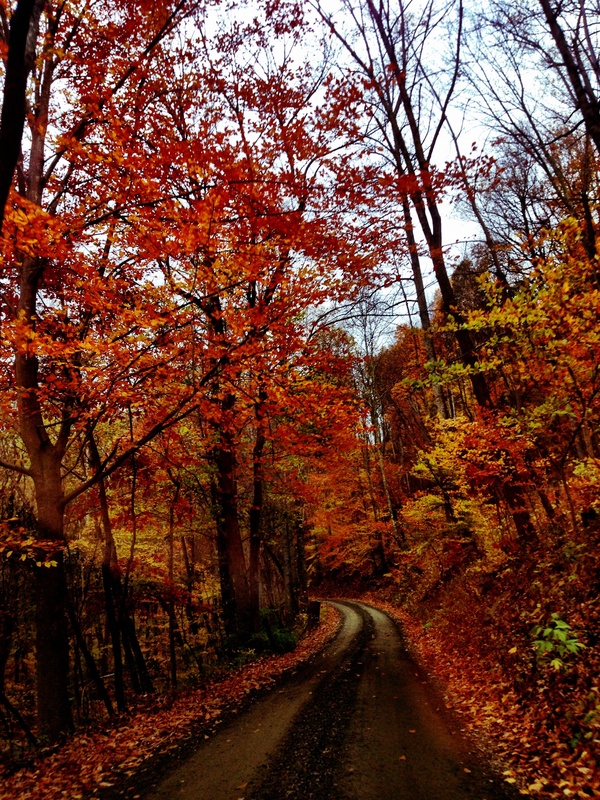 I was craving a run, so even those it was raining I was ready to hit the trail. Running forces me to get outside, during the winter while most people are cooped up inside. Don’t be scared of bad weather. A light rain even in January, can feel quite refreshing. I will start up training for longer races in mid February. So all of these runs, were fast, easy runs, between 5k- 5 miles. However, this weekend is suppose to be 65 degrees so I might throw on some shorts and go on a 10 mile run. I wouldn’t be able to answer that question- because I have no clue. So this year I will continue to record my mileage, but I will actually keep track. I have just become really curious of how many miles I run a year! So lets see how many miles I can run in one whole year. I am really excited about this new goal/challenge. Do you run with your phone? What is your favorite thing about your smart phone? 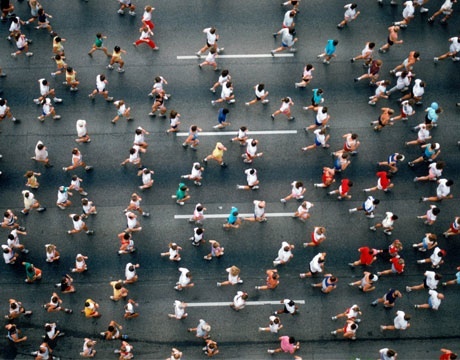 How many miles do you run in a year?